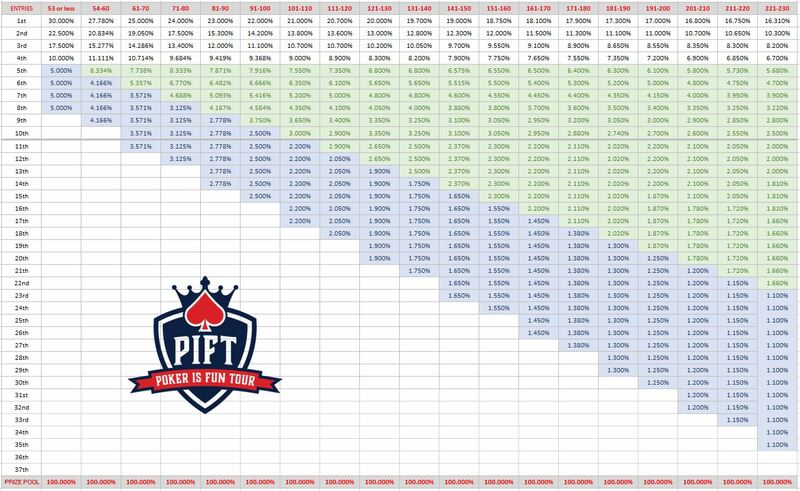 The next set of Poker Is Fun Tour events is FINALLY here. Consider this your home base page to find all pertinent July Summer Series with PIFT info. This is a form of poker that is very similar to Texas Hold Em. However, you are dealt 3 cards instead of 2. Then there is a round of preflop wagering. A flop is dealt, more wagering occurs, and at the completion of all flop action, but before a turn card is dealt, all players still in the pot discard, face down, one of their 3 cards. The turn and river play out like regular Texas Hold Em. You flop a pair and a flush draw. Do you keep the pair? Do you go for the flush? This game creates more action and makes it more likely both you, and your opponents, will find ways to match the board. The fan favorite inaugural event is back for an encore! Just as it sounds – if you are the last remaining person in the pot, you must show your cards in order to be given the pot, whether you steal the blinds, or bet the river and everyone folds to your bet. AKA the “sleep well at night” tournament. All your bluffs will be known! All your nut peddling will be seen. Now you never need to ask, “If I fold, will you show?” This rule will drastically change the dynamic of the game and certainly create more action and battle of wits as you anticipate and predict if your opponent has it in him or her to try bluffing a third straight time! All 3 events are one day tournaments. 1 entry and up to 3 re-entries in each event. Re-entries and late entries can occur up through the end of the 2nd break (roughly 3-4 hours after the tournament begins, depending on the event… see structure sheet for specifics). ~5% of prize pool withheld for donation to the Ronald McDonald House Upper Midwest. See Poker For Good to read why we believe in 5% going to charity.